“We’ve got a terrible responsibility. He’s mad and he’s invisible”. The Invisible Man. How do I love thee? Let me count the ways. This hugely enjoyable, James Whale-directed classic kick-started another Universal horror franchise with an essentially simple plot: scientist ingests dangerous chemical, turning him invisible and increasingly into megalomaniac instability, goes on the run and causes homicidal mayhem until the police capture him. Yet along the way, all sorts of goodies are layered in to the mix – a masterful multi-dimensional turn from Claude Rains, characterful supporting performances and confident direction, a cracking script featuring oddball humour and ground-breaking special effects. 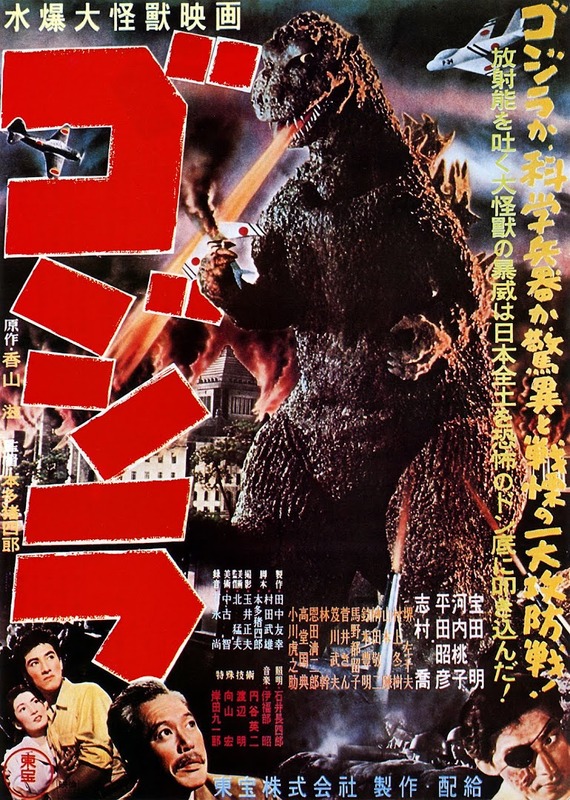 It’s no surprise that it became the studio’s biggest hit since Frankenstein (1931). 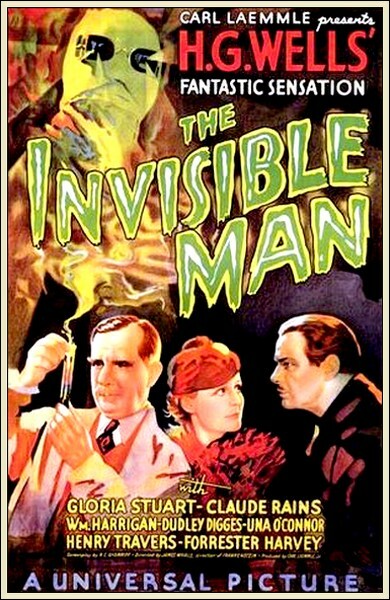 The Invisible Man was based on H.G. Wells’s famous novel. He had previously expressed dissatisfaction with what he regarded as a dumbing-down by Universal in their cinematic telling of his The Island of Dr Moreau as The Island of Lost Souls – (see my review of 6/4). To begin with, the studio’s crafty intention was to buy the property simply in order to license the name and that of Wells for marketing purposes, disregard the plot and invent a totally new one. Wells himself was astounded at the various screenplays Universal commissioned that branched off at such variance with his story – notable writers who took a crack at it included John Huston, Preston Sturges and a treatment by Whale himself. Whale persuaded his long-time writer friend from Journey’s End, R.C. Sheriff, to cleave fairly close to the original. A significant influence in the film’s eventual darker tone than the novel was possibly due to the studio’s purchase of Philip Wylie’s book The Murderer Invisible whose title character goes on a killing spree in the service of ultimate deranged power. This motivated the director to commit to a similar bold edge in his work. There were actually a number of significant changes to the author’s plot. The 1890’s setting of the novel was brought up to date, contemporary to 1933. Also, Wells’s characterisation of Dr Jack Griffin (Rains’ title role) was enigmatic, having no real background detail, whereas for the film he is given associate relationships to conflict with as well as a love interest (Gloria Stuart) who instead of being a formula concession actually adds an extra dimension of sympathy for him. One crucial improvement is in the matter of Griffin’s insanity. For the movie version, in his back story he was emotionally stable but rendered mad as a side-effect of the Monocaine drug. In the novel, he is already a power-mad lunatic, meaning he loses a vital character arc of somewhere interesting to go. (This is the same problem I feel is suffered between the book and film of The Shining only in reverse, where Kubrick’s film showed us Jack Nicholson’s central character as clearly verging on nuts before they even arrive at the demonic Overlook Hotel). I’m in danger of getting ahead of myself here with plot highlights. There are plenty though, spread throughout the film - right from its confident, attention-grabbing opening. The mysterious figure of Rains, his head totally swathed in bandages and topped with goggles, tramps his way through the snow to the amusingly generic ‘country village’ pub, the Lion’s Head. He enters, triggering that beloved horror movie cliché of the tavern’s locals brought to a stand-still by his entrance. (To be fair though, who can blame them in this case?). He gives terse instructions for a room and a private sitting-room to the land-lady, a vivid battle-axe turn by Whale favourite Una O’ Connor, and immediately sets the regulars’ tongues wagging with his reclusive eccentricity. Soon, Griffin’s thwarted need for experimenting secrecy turns to wrath and he ejects the mild-mannered landlord (Forrester Harvey) down the stairs for trying to evict him. When the village bobby shows up, Griffin goads him before unwinding his bandage to reveal there is nothing underneath – and with insane mocking laughter away he goes on the run, unstoppable. The landlord is nursed in a rare moment of tenderness by his Wicked Witch of the Yeast wife, prompting one of many little gems of off-kilter comedy as he groans “Ah shaddap” at her incessant yapping. The elaborate special effects work in The Invisible Man led by John P. Fulton (with John J. Mescall and Frank D. Williams) is truly remarkable for its time. Fulton originally wanted to become a director but realised his forte was in transformative and invisibility FX with an amazing side-line in miniature effects. He would win two Academy Awards for his fine work. To suggest Griffin’s bodily invisibility under full clothing as he moved around, wires were used to suspend his garments. For the more difficult illusion of revealing nothing under removed bandaging, Rains was cloaked entirely in a black velvet suit against a background of the same material; this shot was then combined with a matte shot of the same scene without Rains. The filming was arduous for the actor – especially due to the disorienting claustrophobia of his head needing to be smothered so completely. However, the result was highly-sophisticated for the period and must have astounded audiences. Remember, cinema was still a relatively young medium and much of the trickery was made up as its artists went along. Only a moment where Griffin in pyjamas sits in a chair is slightly marred by noticeable outlining shimmering around his body. The levitation of beer glasses and other props and the climactic depiction of snow tracks are the most impressive of all. On top of these, there are the other superb models used in the spectacular vehicle stunt sequences we will come to later. Many felt the effects work in the film was the main ingredient in its success, but James Whale’s care ensured that all the elements combined to create a terrific horror film. The supporting performances vie for attention - with memorable Ealing comedy turns from the pub locals with their 1930s Cockney ‘Orl roit, I’ll gow’ accents (albeit in a Surrey village). Various police officers through the ranks prove arresting as well. We have the bobby who registers his shock at Griffin’s vanishing act with “’E’s all eaten away!” (a movie debut for E.E. Clive, a Burgomaster for Whale in Bride of Frankenstein) and then the refreshingly resourceful confidence of Dudley Digges’ Chief Detective. He becomes the victim of another relishable comic moment from one of his own men. After a commanding manhunt speech, reminiscent of Tommy Lee Jones’ famous ‘hen-house, out-house’ thoroughness in The Fugitive, his authority is slyly undermined by a watching PC’s faint approval: “Oh, I see. Pretty good”. The eagle-eyed will spot a brief, welcome cameo from Dwight Frye as a bespectacled journalist. By now, he had become fatally typecast as creepy henchmen as a result of playing Renfield in Dracula and Fritz for Whale’s Frankenstein. Here, he gets a chance to exude his high energy through a relatively normal role, pestering the police with suggestions for trapping Griffin. Whale expertly plays R.C. Sheriff’s humorous dialogue against the horror, shrewdly balancing between them instead of unrelieved seriousness – a po-faced tone that could so easily be unintentionally funny in this challenging subject matter. He is aided immeasurably by his personal casting of Claude Rains to lead the film. Boris Karloff had been in the frame for the part for some time while the script finally found its structure, but he and the project parted ways over a refusal by the studio to match his requested fee. In Rudy Behlmer’s documentary Now You See Him: The Invisible Man Revealed, his daughter Jessica tells how Rains with almost no film experience at this point, coming from a celebrated stage background, had filmed a screen test that betrayed his theatrical technique with overly demonstrative, unsuitable technique for the more subtle camera. Whale however viewed the test and immediately knew he was the man by virtue of his remarkable voice. In TCM Classic Movies’ short Tribute to Claude Rains narrated by Richard Chamberlain, he described Rains’ voice evocatively as a mixture of ‘honey and gravel’. Jack Griffin would not be half so potent a character but for the expressive versatility of Rains’ vocal feeling fed through the otherwise restrictive mask of the character. He was capable of character range across the spectrum from portraying cold, clinical evil through to touchingly sympathetic characters – sometimes unexpectedly so as with The Invisible Man. In a career spanning five decades, Rains was a sought-after and highly-respected talent, his credits including some of the most famous films of his era such as Casablanca (1942), Lawrence of Arabia (1962). As we saw in the story of Charles Laughton who was taught by him at RADA, he was also a much-appreciated mentor to other actors. This was likely a passing forward of the kind influence of Sir Herbert Beerbohm Tree who’d paid for him as a student to erase his cockney accent with the elocution lessons that freed up his wonderful voice. This was an enormous aid to Rains, born into awful poverty which had claimed the lives of all but two of the twelve children in his family. The cultivating of the marvellous raw material of his voice into cultured sophistication allowed him to portray roles beyond the normal limitations of subservient working-class parts. In turn, he inspired illustrious names such as Laurence Oliver and John Gielgud. 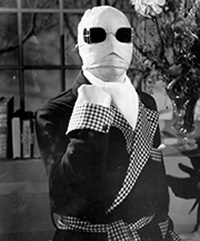 Rain’s multi-faceted Jack Griffin in The Invisible Man is a joy. He goes ‘up to eleven’ in his super-villain declaration “Suddenly I realised the power I held – the power to rule – to make the world grovel at my feet!”, mischievously (and camply) teases his enemies with a high-pitched girly giggle as he runs rings around them, hits full-throttle, gleeful evil in cold-blooded murder and even finds shades of softer poignancy in his scenes with his lover Flora. He confesses to her with beguiling tenderness that his monomaniac pushing of the human potential envelope was because otherwise “I had nothing to offer you, Flora”. Another welcome difference created in Whale’s movie is the harder tonal edge supplied by Griffin’s unbridled, merciless wave of murder, firstly on a grand scale as he diverts the signals to send a train splendidly crashing off the rails - then the personal vendetta of killing former colleague Dr Kemp instead of his life being saved as in the novel. Griffin gleefully sends him over the cliff in his car to a fiery death in a high-pitched vengeful cackle. Who wants a crazed villain to just make a threat when we can see him carry it out like this? Griffin releases the brake on the car, so too did Whale in allowing his protagonist’s maniacal vengeance gloriously unfettered freedom – a quality he had been forced to curb at times in Frankenstein. There is even a darkly funny quality to how Griffin savours the path his betrayer’s vehicle will take, savouring each step: “…Then you’ll have a big thrill for a hundred yards or so till you hit a boulder”. The flaming car stunt that plummets down the hill is another great John P Fulton effects show-piece to go with the train sequence, sealing his reputation as a master craftsman of thrilling movie illusions. Readers of my serialised reviews will know that even at the height of a tidal wave of praise I’m not above drawing attention to the unfortunate things washed-up as well. William Harrigan’s Kemp is largely a wooden performance, enlivened only by the voltage put through him when his character’s life is in danger. Gloria Stuart as Flora, although a crucial humanising force to underpin Griffin’s rampage, tends to hit the same plaintive quavering note in her lines that is distractingly irritating. Listen out for the radio newsreader who is also worth a mention, his disembodied breaking-news bulletins are amusingly reminiscent of Criswell the crackpot psychic from Plan 9 from Outer Space in their melodrama. Finally, Griffin is caught after his movement in a shed’s hay-bales tips off a local farmer as to his location. This is a cue for a climactic bravura touch of FX magic showing the invisible footprints and Griffin’s fallen bodily impression in the snow after being shot. At his bed-side, we are treated to the calm after the storm, which pleasingly doesn’t feel like a tacked-on happy ending (something else Whale had no choice but to film for Henry Frankenstein). Griffin asks for Flora and her forgiveness before dying, and we at last see his head materialise, morphing from a skull into the handsome visage of Claude Rains, his berserk rage now soothed into eternal peace.